"The protein and fiber content help to ensure that your Maltese doesn't have runny stools that can get tangled in their coat. " "This senior age-defying dog food comes in several different formulas including a senior 7 years and up, a senior 11 years and up, adult, and puppy. " "The smaller and slightly softer kibble pieces are easier for your puppy to grasp, chew, and digest." 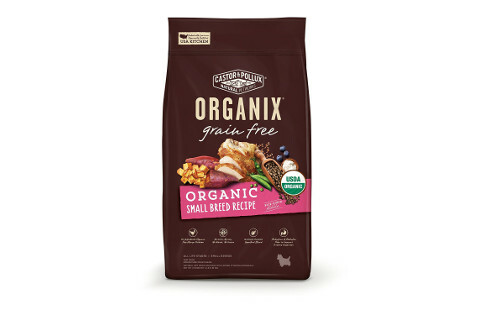 "This tiny dog food also contains an exclusive blend of over 20 different superfoods and nutrient-rich whole grains that come from trusted sources in the United States." " It has a specially tailored blend of fiber and protein to help encourage healthy digestion and healthy weight loss in overweight dogs. " "This food contains no synthetic fertilizers, added growth hormones, chemical pesticides, or antibiotics for a healthy and safe alternative for your sensitive Maltese." Your Maltese needs specially formulated nutrients to support their healthy coat and body, and you'll get it with this breed-specific food from Royal Canin. They'll enjoy a higher amount of fatty acids to help support healthy, shiny, soft, and long coat growth. Since this small breed is known to be rather fussy eaters, this food comes packed with a diverse and rich flavor profile that is designed to bring them back for more. The protein and fiber content help to ensure that your Maltese doesn't have runny stools that can get tangled in their coat. This dog food also comes with a specially formulated kibble that is easy for your dog to pick up, eat, and digest. You can feed this dog food to your Maltese starting at 10 months and going forward for a complete and balanced nutritional profile. Maltese parents who bought this breed-specific food for their dogs were happy that it had a specially formulated design that was easy for their dogs to pick up and chew. Maltese parents did say that this food was more expensive and less available than other types. This senior age-defying dog food comes in several different formulas including a senior 7 years and up, a senior 11 years and up, adult, and puppy. It features a balanced and exclusive blend of fatty acids, vitamin E, and antioxidants to support your dog's immune system, joints, coat, and more. Your dog will get Glucosamine each time they eat this food, and this can help to ensure that their joints stay hydrated and the cartridge doesn't sustain as much wear and tear. The kibble pieces are also smaller, and this can make it easier for your dog to eat and digest. The food has a new formula that contains rice, barley, and a chicken meal without any artificial colors, flavoring, or preservatives that can cause issues if your dog has sensitivities or allergies. This food comes sourced from the United States with global ingredients that are safe and healthy. 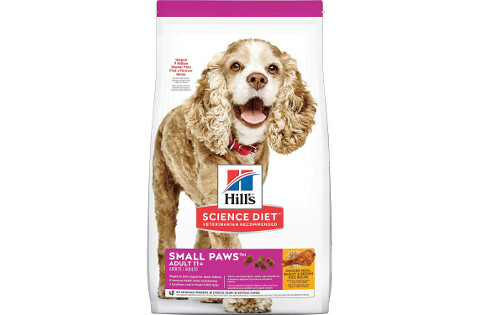 People who purchased this food for their Senior Maltese dogs liked that it had two different formulas for older dogs that they could pick from. They did say that there was mild concern over the transparency of the meat ingredients of the dog food label. 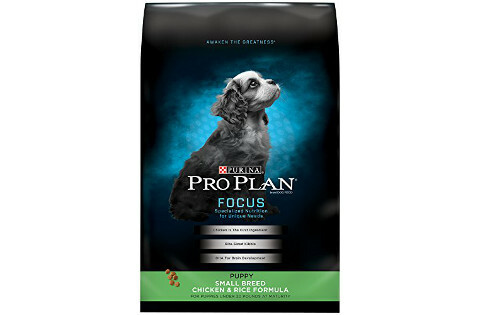 Purina Pro Plan's formula comes in four different breed sizes, four different formulas, and five different size options that makes it easy to tailor your order to your dog. It comes with high-quality and lean protein listed as the first ingredient on the bag. The smaller and slightly softer kibble pieces are easier for your puppy to grasp, chew, and digest. The food has a higher amount of fish oil, and this fish oil contains essential DHA that helps to support your puppy's eyesight and healthy brain growth throughout the first few months. Your puppy will get a healthy dose of antioxidants that help to support their healthy immune system growth and development, and this can help them stay healthy. The harder kibble helps to keep your dog's teeth clean all of the ways to the gum line. Maltese puppy parents who purchased this food liked that it came with smaller kibble pieces that were easier for their puppies to eat. Maltese puppy parents did point out that this food seemed to be more bland and it wasn't able to hold their puppy's attention. 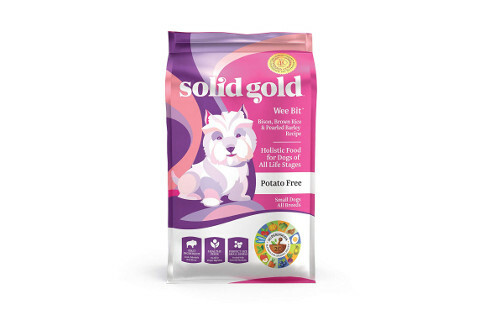 Solid Gold's dog food comes with some of the smallest pieces of kibble available in an oval shape that is one-fourth of an inch around. This food comes formulated for all life stages, and this allows your dog to eat it from the time they're puppies up to seniors. You'll get real meat combined with fats, fiber, protein, and vitamins that help to support your dog's growth and development as well as their continued health. It has a healthy amount of probiotics that help to keep your dog's digestive system healthy and regular. This tiny dog food also contains an exclusive blend of over 20 different superfoods and nutrient-rich whole grains that come from trusted sources all around the United States. There are no artificial flavors, colors, preservatives, sugar, wheat, corn, or soy for a healthy food option. Teacup Maltese owners who bought this food for their dog were impressed at the number of nutrients that were packed into the tiny kibble pieces. They did say that that food could cause constipation in dogs who had more sensitive digestive systems. This weight management formula contains a lean chicken protein source as the first ingredient listed on the label. It has a specially tailored blend of fiber and protein to help encourage healthy digestion and healthy weight loss in overweight dogs. This formula also contains whole brown rice, lentils, pea proteins, dried beet pulp, dried sweet potato, alfalfa meal, chicken fat, and more for flavorful and healthy food. The vitamin and nutrient blend help to support your dog's healthy muscle growth, healthy immune function, and healthy skin and coat. There is no chicken by-product meal, artificial flavors, colors, preservatives, soy protein, corn, or wheat in this formula. 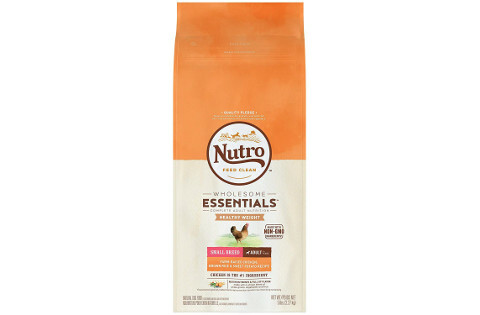 Additionally, Nutro sources all of the food's ingredients from trusted sources from around the United States to help ensure the quality of the food. Maltese parents who bought this weight management food for their dogs liked that it has fiber and protein to help their dogs feel full and lose the excess weight. Maltese parents did mention that it only comes in two different size options, and this could be too much if your dog doesn't like it. Castor and Pollux's dog food for sensitive stomach and allergies contains a limited list of ingredients that are certified by the USDA as organic. It's cooked in an organic kitchen, and there are numerous quality tests before, during, and after the cooking process to ensure quality. The first ingredient is organic chicken, and this comes closely followed by organic flaxseed, prebiotic fiber, organic blueberries probiotics, and organic coconut oil. The limited and organic ingredients can be easier on your dog's system, and there are fewer things in the food that could cause an allergy flare. This food contains no synthetic fertilizers, added growth hormones, chemical pesticides, or antibiotics for a healthy and safe alternative for your sensitive Maltese. The small breed recipe ensures that the kibble pieces are small enough for your dog to comfortably eat. People who bought this food for their dog liked that everything in the food is organic and that there are more limited ingredients to prevent allergy flares. People who purchased this food for their dog did say that you will pay more for what you get. The Maltese is a very popular smaller breed dog that has a fierce personality, a playful disposition, and a long, flowing coat that is instantly recognizable. They're an excellent family dog because they're very loyal, and you want to ensure that they have everything they need to stay healthy throughout their lives. You want to feed them the best food possible, but this can be difficult to pick out because there are so many available. Our buyer's guide will fill you in on any important things to consider when your shop, and we've rounded up and reviewed our six choices for the best dog food for Maltese dogs for you to compare. Adult and senior Maltese dogs should get in the habit of eating twice a day at set times. You can split your puppy's meal times up into three times a day and slowly shift over to two times a day as they age. Don't let them free feed because this breed is prone to weight gain and being overweight in general. These estimates are for an average five pound Maltese. Males tend to weigh between three to eight pounds while females can weigh between two and seven pounds. The goal is to give them enough calories to help them get to and maintain a healthy weight. Carbohydrates are the portion of the dog's food that contains the vitamins, minerals, and nutrients. You want to see your dog's food have complex carbohydrates from healthy sources like whole grains, potatoes, millet, brown rice, oats, or whole corn. They'll help keep your dog full. No matter how young or old your Maltese is, you want to see Chondroitin and Glucosamine listed because they're essential for your dog's joint health and this breed is prone to joint issues. They can help strengthen the cartridge in the joints, protect it from wear and tear, and add lubrication to the joints. These little dogs are very stubborn, and they can be very picky eaters if their food doesn't smell or taste good. Getting a food that has a strong flavor profile can help to entice your dog to eat it each time you put their bowl down. This may take some experimentation until you find something they like. Since this dog has such a long and shiny coat, they need to get enough healthy fats to support excellent coat health and nourished skin. You're looking for at least 10 to 15-percent healthy fats in your dog's food, and these fats should include Omega-3 and Omega-6 fatty acids because they support both internal and external health. Malteses are a breed that are prone to developing digestive problems that cause symptoms like diarrhea, upset stomach, vomiting, and gas. Having a food with a good amount of probiotics and fiber can help to regulate your dog's digestive system and eliminate these common issues. A lot of protein from healthy sources can help your dog develop at a healthy rate, and you want to see between 18 and 22-percent protein in your dog's food. Most dog foods exceed this level. Also, make sure that it comes from quality sources like chicken, salmon, turkey, or beef instead of by-product meals or meat derivatives. Animal Derivatives - Many dog foods add animal derivatives to their food as filler ingredients to help bulk up the formula. However, these animal derivatives are things that your dog shouldn't necessarily eat like the heads, fur, and other unsavory parts of the animal that get left over. Artificial Additives - Pet food manufacturers usually put artificial colors, flavors, and preservatives in their food to make it look and smell more appetizing to your dog, and to make it last longer. They can cause digestive issues for Maltese dogs because they're prone to food sensitives. By-Products - Animal by-products are often filler agents in dog food, and they're not fit for humans to eat. This includes things like feet, claws, intestines, and brains. Some by-products may be okay for your dog, but you don't want your dog's food packed with them. Fillers - Fillers are low-quality ingredients that have very little nutritional value for your dog. They include things like cereal by-products, oat hulls, soybean mill run, wheat mill run, and corn barn. In small amounts, these aren't a bad thing. 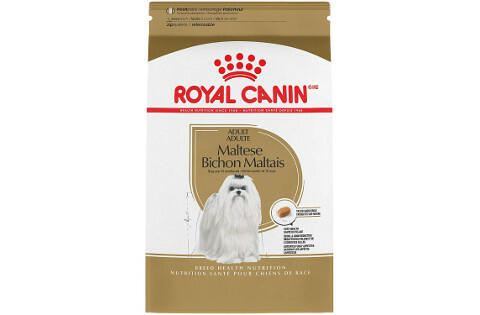 Our pick for the best dog for the Maltese breed is Royal Canin Breed Health Nutrition Maltese Adult Dry Dog Food because the entire formula is designed to meet this breed's individual needs. It has a higher fatty acid content to help support the longer Maltese coat. We picked it because it has a stronger flavor profile that appeals to more picky dogs, and we liked that it had more fiber to help keep the dog's system regular. Finally, this food has a complete nutritional profile starting at 10 months old and going through the senior years.